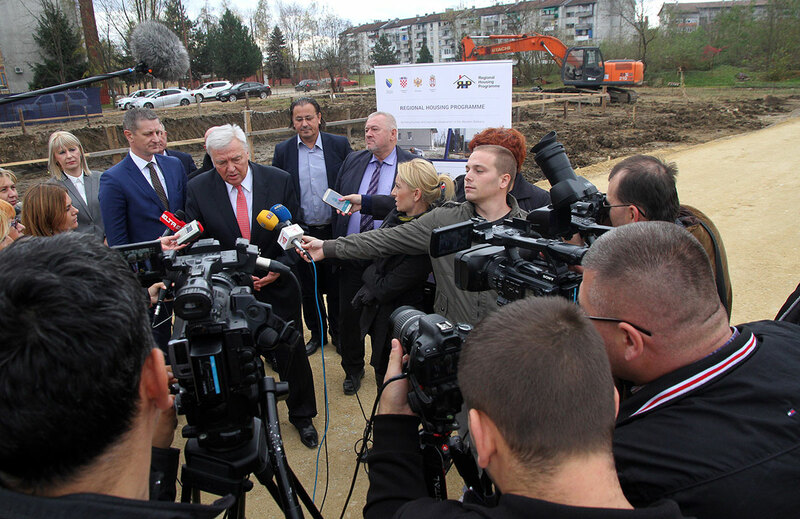 The Minister for Refugees and Displaced Persons of Republika Srpska, Davor Cordas, hosted on 2 November a ceremony marking the start of construction of a residential building with 50 apartments in Prijedor, under RHP sub-project BiH3. The event was attended by Deputy Minister for Human Rights and Refugees of Bosnia and Herzegovina Predrag Jovic, Minister for Refugees and Displaced Persons of Republika Srpska Davor Cordas, Minister of Physical Planning, Civil Engineering and Ecology of Republika Srpska Srebrenka Galis, Mayor of Prijedor Marko Pavic and Marc D’Silva, Country Representative for Bosnia and Herzegovina of the Catholic Relief Services. The total cost of the sub-project is EUR 14.3 million, out of which EUR 12.3 million is provided by the RHP Fund. The apartments are intended for refugees and displaced persons in Bosnia and Herzegovina, and will be owned by local authorities which provide the infrastructure and the land as a national contribution. 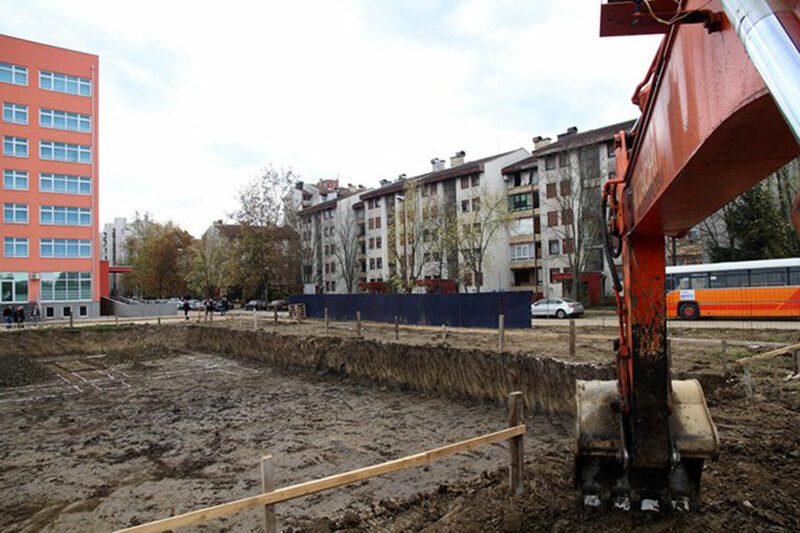 After expressing his gratitude to all the RHP Donors and partners, Mayor Marko Pavic emphasized: “Prijedor is experienced in social housing provision, and this experience will contribute to the successful implementation of this project as well. The building is not located on the outskirts of town because we aim for the full integration of future residents with the rest of the community, instead of putting them in an isolated environment”. The apartments will be completed progressively, between autumn 2017 and the end of 2018. The Regional Housing Programme in Bosnia and Herzegovina is implemented by the Ministry of Human Rights and Refugees as the Lead Institution and by the three Project Implementation Units: the Federal Ministry of Displaced Persons and Refugees in the Federation of Bosnia and Herzegovina, the Ministry of Refugees and Displaced Persons of Republika Srpska and the Department for Displaced Persons, Refugees and Housing Issues of the Brcko District. In addition, the local government sector plays an active role in the implementation.